Captiva Florida History starts with the Calusa Indians, continues with a pirate's legend, and ends with being one of the most beautiful vacation places in the world! 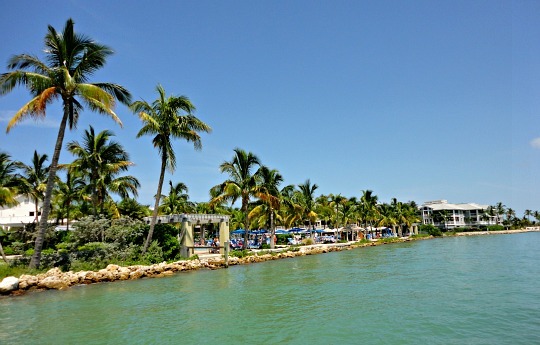 Captiva is part of the barrier islands along the coast of Southwest Florida, including Ft Myers Beach, Lovers Key, Sanibel, North Captiva, Cayo Costa, and Pine Island. 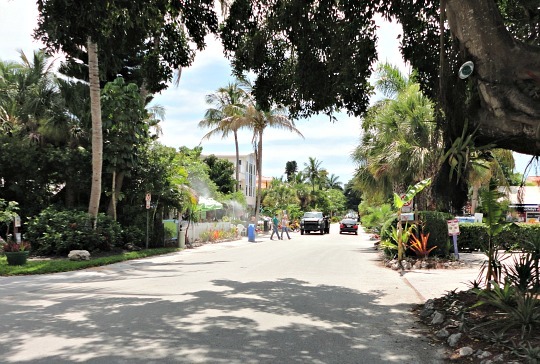 Even though Captiva is smaller than Sanibel, it was formed first. 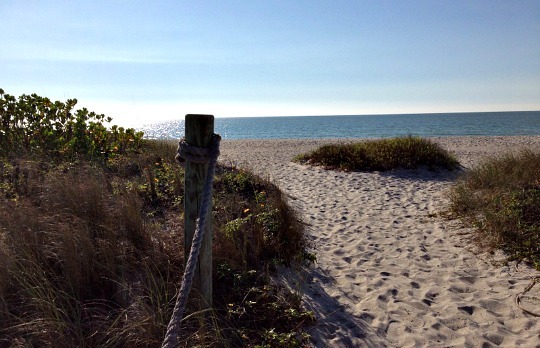 Sanibel was eventually formed from the drifting sands of Captiva. Both islands were connected until recently. 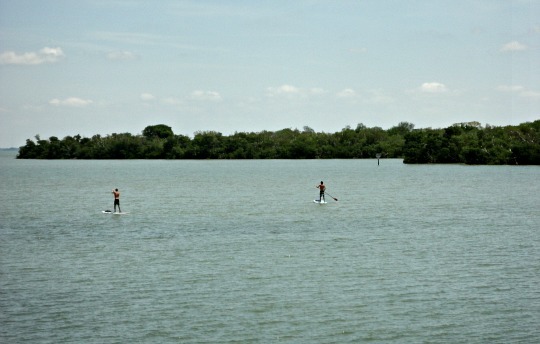 And, while Sanibel grew larger, Captiva became smaller. 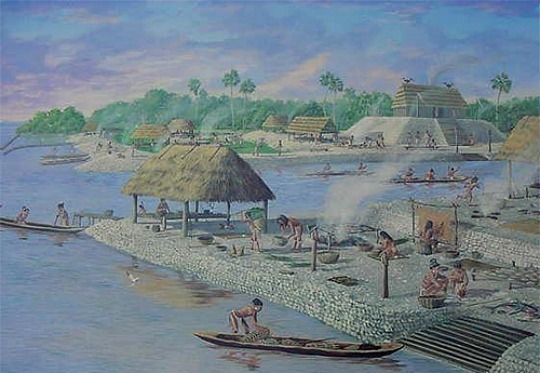 The islands were originally populated by the Calusas, a fierce war-like people who fished, lived in houses on stilts, and are known for their shell mounds. By the 1700's, most of them died from diseases or were captured as slaves as Europeans moved in, starting with Ponce de Leon, the Spanish explorer who landed in Florida in 1513. Legend has it that Captiva got it's name from the Spanish word "cautiva", which means captive and possibly refers to a male captive left on the island. A more romantic legend has it that the pirate Jose Gaspar kept a harem of women captive on the island to be used either for ransom ............ or for himself. 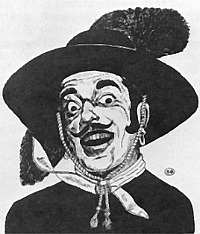 He called himself Gasparilla, and amassed quite the fortune by sacking every ship that passed by Spanish Florida between 1783-1821. It is said that he hid his treasure on, of course, Gasparilla Island, just north of Captiva, and that it's never been found!. 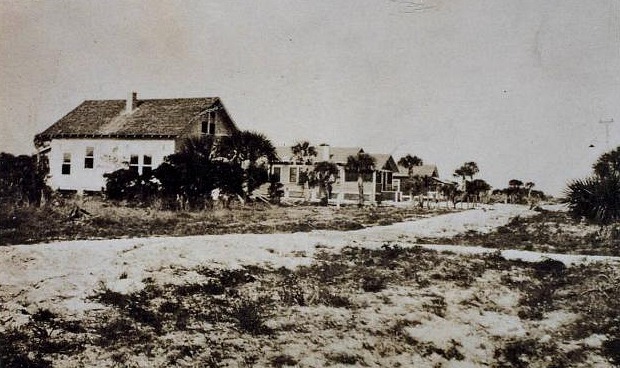 Regardless of whether either of these legends are true, William Binder became the first settler on the island of Captiva Florida in 1888, and he got there in an interesting way. 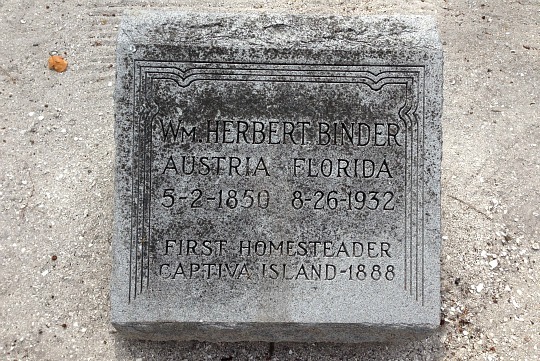 Earlier, Binder, who was from Austria, was aboard a German ship headed for New Orleans. 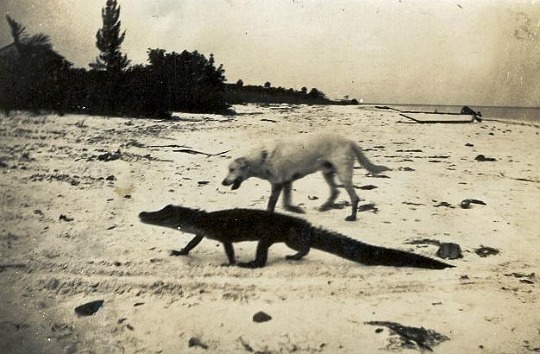 He got shipwrecked off of Boca Grande and ended up washing ashore on what is now North Captiva ........ and which was attached to Captiva at the time. Binder managed to build a raft and got to Pine Island. Since he had fought with the US Army, he was naturalized and allowed to homestead 160 acres in the center part of the island. 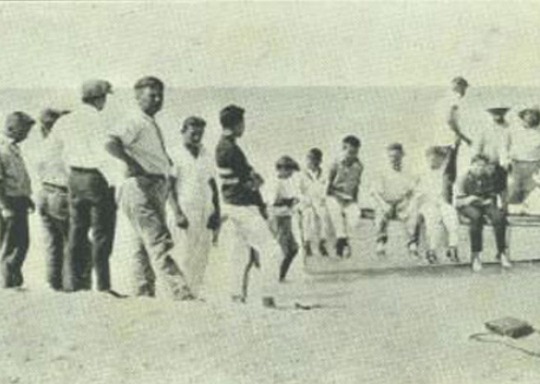 He died in 1932 and is buried at the Chapel by the Sea's cemetery on the beach. 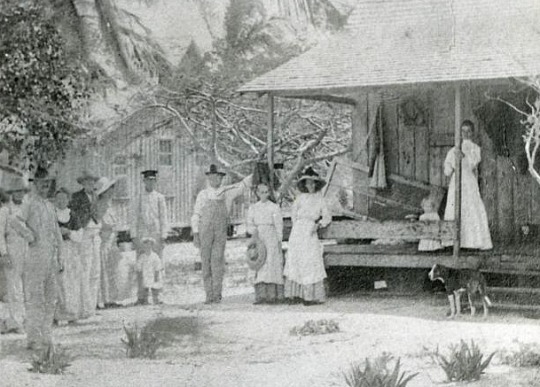 Other homesteaders, such as the Elias Knight Carter family, arrived on the island. 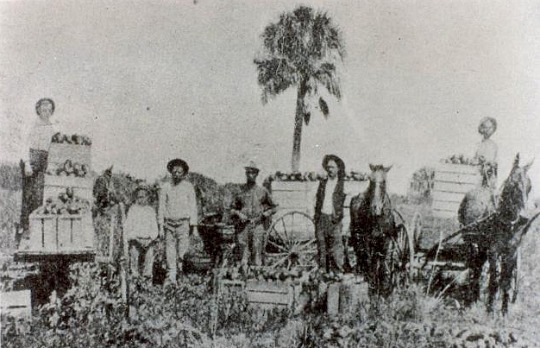 Some of the crops they grew were peppers, tomatoes, squash, watermelon, and coconuts. In 1900, Dr. J. 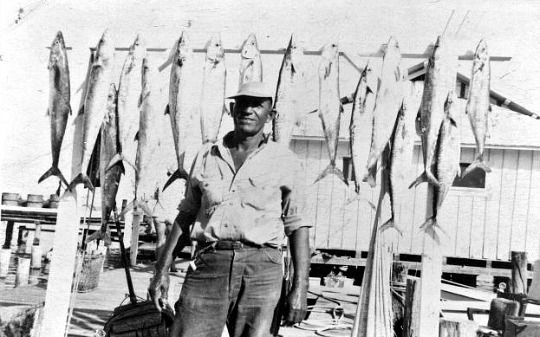 A. Dickey from Virginia came fishing and returned in 1905 to build a house. He also built a school and cottage for a schoolteacher. Friends of the Dickeys, the Prices, bought the schoolhouse/cottage from the schoolteacher when she retired in 1925, enlarged it and added another cottage. 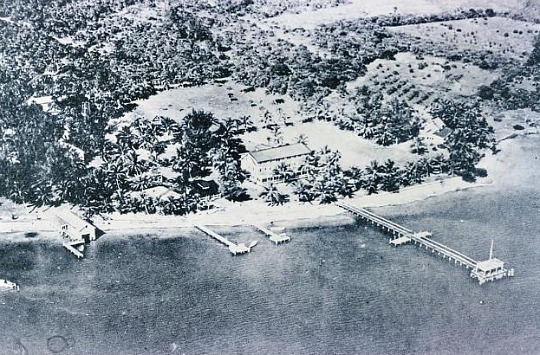 In 1921, a hurricane separated North Captiva, known before as Upper Captiva, from Captiva and created Redfish Pass, seen here from South Seas Island Resort. In 1926, another hurricane separated Captiva from Sanibel and created Blind Pass. 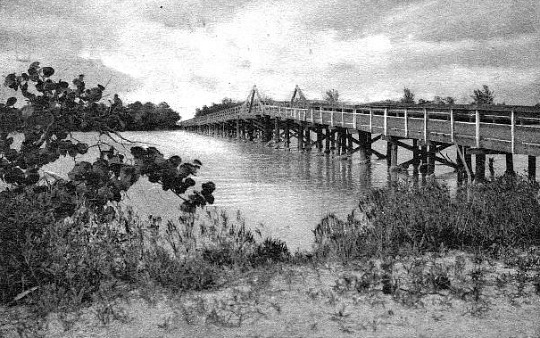 A bridge had to be built so cars could travel from Sanibel onto Captiva, which you can see in the old postcard below. Blind Pass eventually filled in but was reopened by dredging in 2009. 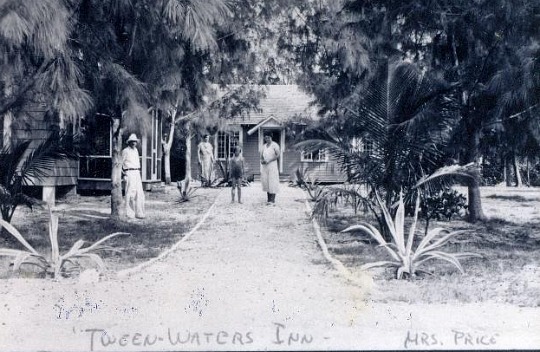 In 1931, when times got tough, the Prices started charging room and board .......... and that was the beginning of the wonderful Tween Waters Inn. 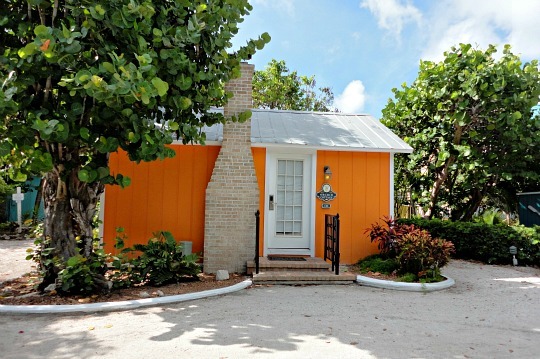 Each year new cottages were added as people found out about the warm and pleasant winters of Captiva Florida. The cottages attracted quite the famous clientele such as Anne Morrow Lindbergh and her husband Charles who would land his plane on the beach in front of the Inn, plus cartoonist and conservationist J.N. Ding Darling, and Teddy Roosevelt ........ who you can see in the photo below enjoying a Captiva Florida outing out on the water! Teddy fished behind the Tween Waters on the eastern side of Captiva, in what is known now as Roosevelt Channel .......... a great place to go fishing, kayaking, and stand-up paddle boarding. All of these cottages are still at Tween Waters and are designated as historically significant buildings. The cottages have been refurbished, and the Inn has added modern accommodations and amenities. 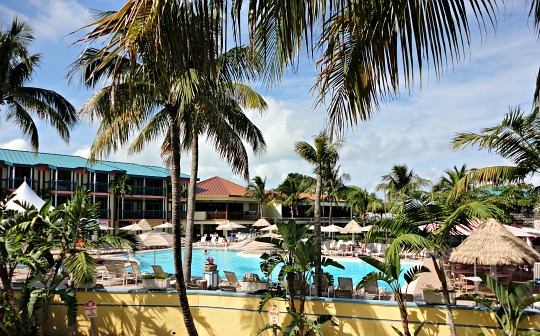 Tween Waters continues to create unforgettable memories for the vacationers who stay there! In 1946, the salt water storm surge from a hurricane ruined the commercial farm operations of Clarence Chadwick. He opened a fishing resort called South Seas Plantation ..... now the South Seas Island Resort. Another character that is part of Captiva Florida history is Andy Rosse, the man that the main street of town is named after. Andy was born in England in 1903, and moved to Captiva in 1926 after working at a fishing camp near Gasparilla Island since the age of 16. He worked as a fishing guide at Tween Waters Inn until 1935. He bought his own dock in 1940 with money borrowed from Ding Darling, at what is now McCarthy's Marina. At that time, the Captiva Grocery Store was located at the dock, and with the help of Ding Darling, Andy had the store moved to it's present location on the corner of Captiva Drive and Andy Rosse Lane. Andy first turned his dock store into restaurant, but when it didn't do well, he turned it into a commercial fish house. You could also rent boats and get your mail from the Mail Boat at Andy's Fishing Pier. He died in 1984. 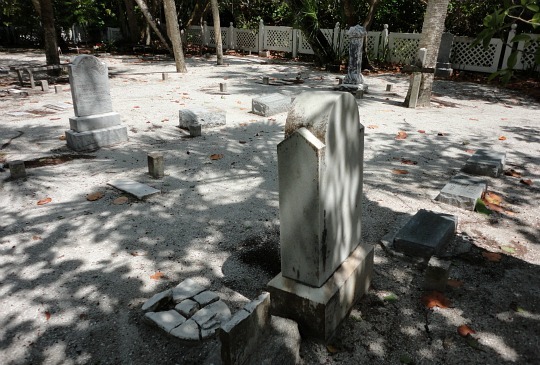 Captiva Island grew slowly during the 1940's because you could only get to the island by ferry, and because of the war. 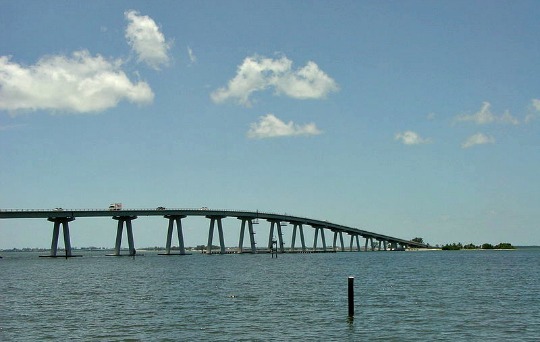 In 1963, the Sanibel Causeway was opened, which allowed people to get to Captiva by car and brought more people to the island. 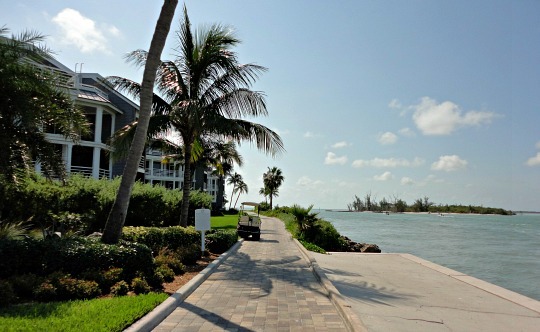 In 2004, Captiva was hit by Hurricane Charley, which caused lots of damage to the village. South Seas Island Resort was severely damaged by the same storm, but fortunately has been completely rebuilt. This same hurricane separated the upper from the lower part of North Captiva at it's narrowest spot, and created Charley's Pass. 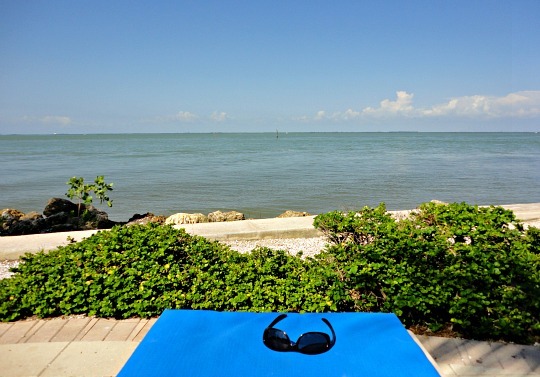 For a fabulous vacation, Captiva Florida can't be beat! I love the beaches with their warm, aqua green waters, great shells, and soft white sand. 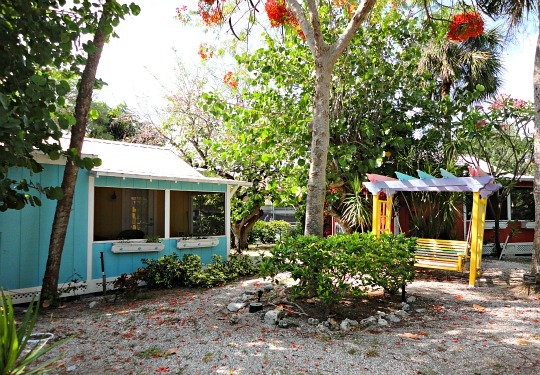 You'll love staying at any of Captiva's accommodations which include luxury resorts, a very charming inn, and quaint beach cottages. Each restaurant is unique ........ you'll want to try each one! And, you'll definitely want to take a cruise to see dolphins, go shelling, or sightseeing. Go parasailing, kayaking, or stand-up paddleboarding ......... all of this fun is waiting for you on the beautiful Captiva Island Florida! 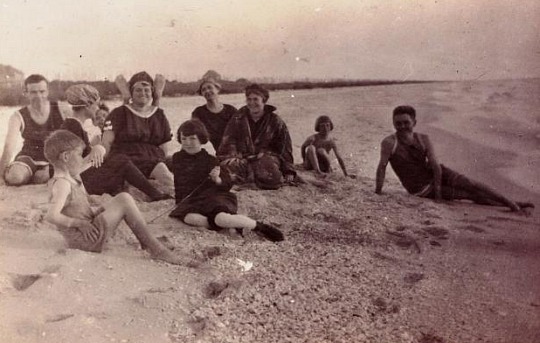 To see more wonderful photos of the olden days in Captiva Island Fl, go to the University of Florida Digital Collections and Captiva Historical Society websites.